During the First World War, a certain Sir Henry Jones from Tighnabruaich, Scotland, received a postcard addressed to him at 184 King’s Road. The sender was his son who was being kept prisoner of war by the Turks. There was, however, no King’s Road in the small village of Tighnabruaich and no other street had even close to 184 houses. So, Sir Henry suspected that “184 King’s Road” was a steganographic message. 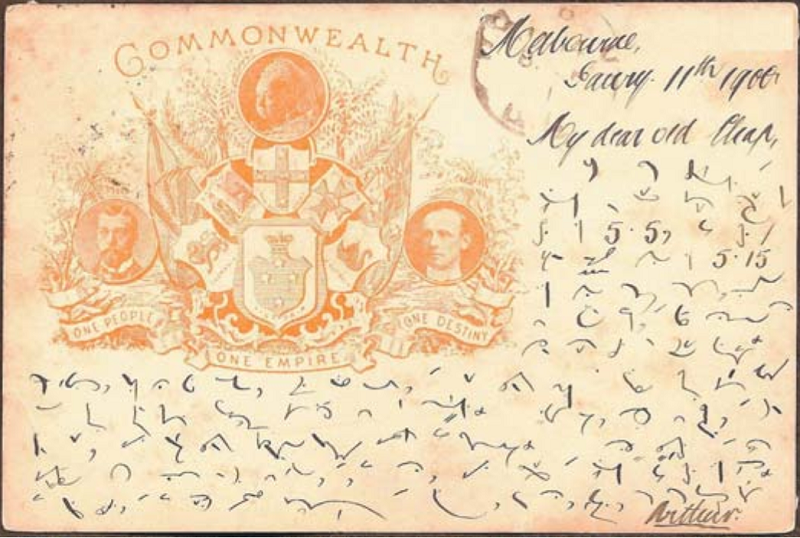 His postcard was forwarded to British government codebreakers, who analyzed it. Finally William Montgomery, a theologist and church historian who worked as a cryptanalyst, recognized that “184 King’s Road” refered to chapter 18, verse 4 in the First Book of Kings in the Bible. There it read: “Obadiah took a hundred prophets, and hid them fifty in a cave, and fed them with bread and water.” This meant that Sir Henry’s son was safe in prison but needed food. This interpretation proved correct. 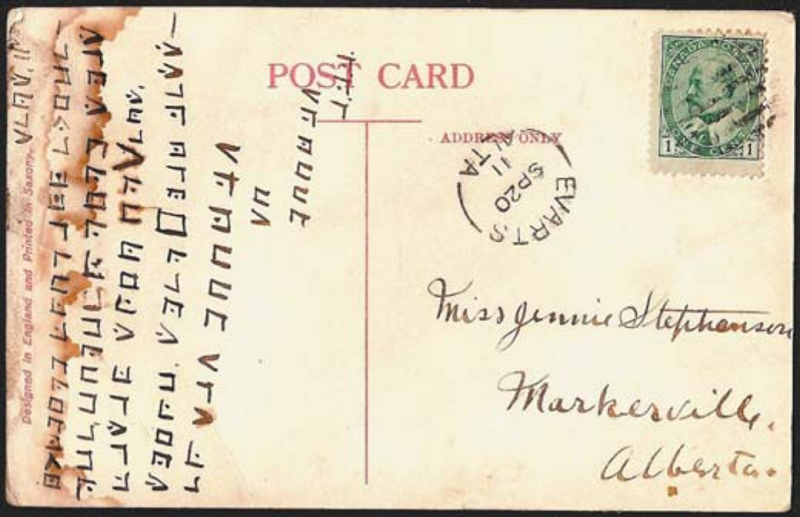 This story about a steganographic postcard (taken from David Kahn’s classic The Codebreakers) is featured in a nice article about encrypted postcards I recently discovered online. 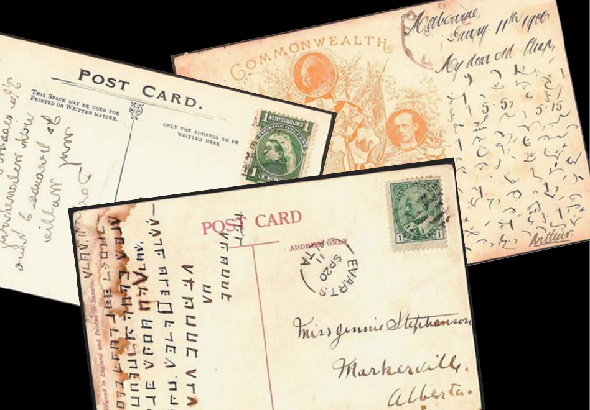 This article, titled Secret Messages on Postcards and written by Dale Speirs, was published in the March/April 2008 issue of the magazine The Canadian Philatelist (p. 79). 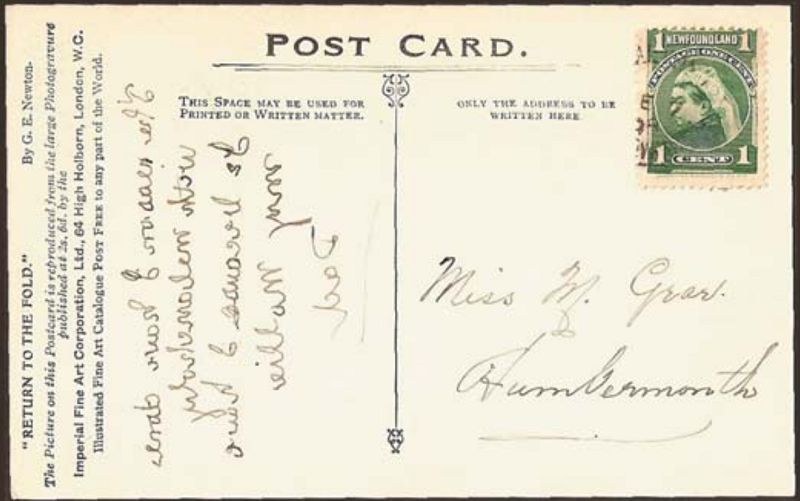 One of the things I learned in this article was that in the 1870s, the Bishop of Gloucester wrote postcards to his clergy in Latin in order to keep postmen and clerical staff from reading them – an interesting example of code talking. As is well known, the US military used a similar concept, yet in a much more sophisticated way, in World War II, when they hired Navajo Indians as code talkers. 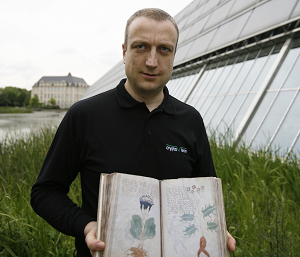 The plaintext is given in the article. Of course, you can try to break it anyway.